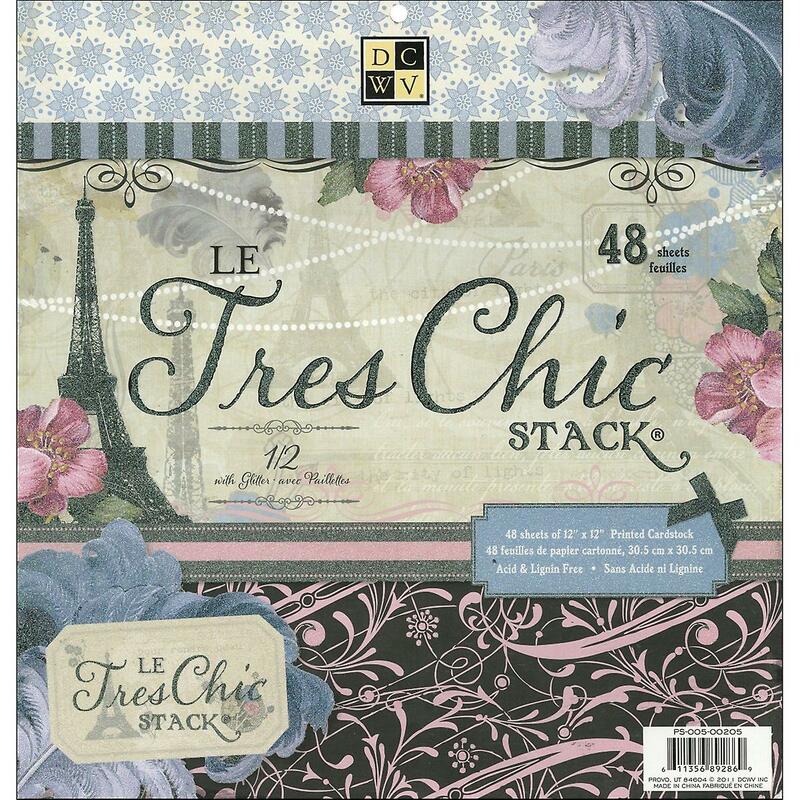 DIECUTS WITH A VIEW-Le Tres Chic Stack. This package contains one 12x12 inch paper pad with forty-eight sheets of single-sided cardstock: two each of twenty-four designs. Twelve designs are flat paper and twelve designs have glitter accents. Acid and lignin free.